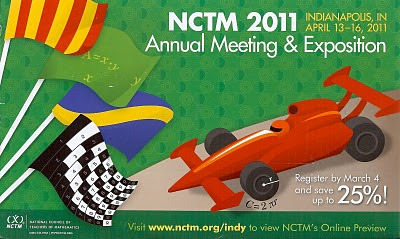 CLIME Connections: Promo for NCTM Indy 2011 mtg: Pseudo or Real? Whether or not these are pseudocontextual would depend on how they were presented as learning activities or questions. There are circumstances were the circumference of the wheel would be an important factor, as with area of the flag. The 25% discount is highly relevant to potential participants, but not necessarily any better from a contextual point of view for learning. I think @ddmeyer uses pseudocontext to describe a style of presentation or learning activities for problems offered to students . 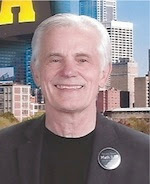 Without the presentation as a problem there is no pseudocontext. 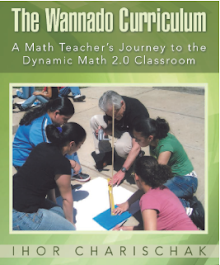 I see six examples of embedded math in the poster. The first flag and the background image portray plane symmetry groups, the second flag shows the area of a rectangle, the third flag shows the diagonal of a rectangle (hinting at the Pythagorean theorem), and the fourth flag shows fraction strips. Finally, the left front wheel is used to illustrate the circumference of a circle. I'm not counting the various numbers and dates in the poster, since they serve to give information about the conference. The use of math in this poster is not pseudocontextual but symbolic. The images on the flags symbolize math education, just as the racecar symbolizes Indianapolis. @Blair: Is the circumference of the wheel relevant for the context in which it was presented on this postcard? I was questioning whether the formula for C was appropriate in this context. It certainly can be in a different context as you suggest in a math lesson. @David: Six. You're right. I actually missed three. Hmm.. I suppose you can make a case for symbolic use of math themed flags as an appropriate context for promoting a math conference. But highlighting the fact that the circumference of the wheel is C = 2*pi*r in the context of a race car is a bit of a stretch. Aren't there any number of examples of mathematics embedded in the graphic? As a promotion for a national conference, I would expect all sorts of examples drawn from arithmetic, algebra, geometry. How creatively they are portrayed in the postcard is more of an artistic challenge, I think. @ClimeGuy Given the conference is in Indianapolis and the city's association with motorsports, I see the connection. The circumference is important in racing to determine revolutions relative to distance covered in order to determine when to pit to change the tires. My point was more to emphasise that in my eyes pseudocontext revolves more around questioning than presentation of ideas. @Blair The formula is real to a circle. Here the circle is represented by a wheel. The wheel is a part of the race car. Indianapolis is famous for its car racing. 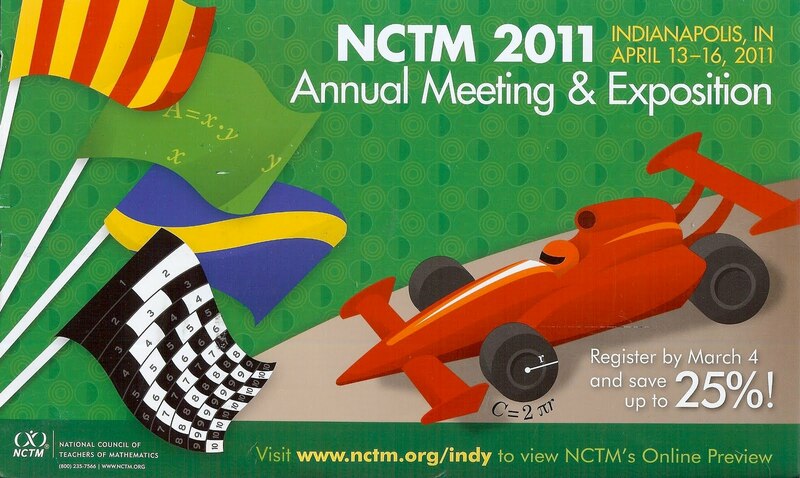 NCTM conference is in Indianapolis. Conclusion: the formula is relevant to the intent of the postcard (i.e. get you to go to the conference). Isn't that a bit of a stretch? On the other hand the 25% part is right on relevant.